Israel Nash und Band kommen im November 2018 endlich wieder nach Deutschland und UK. Mit im Gepäck haben sie dann die Songs von ihrem fünften Studioalbum, das im Sommer 2018 über Loose Music/Rough Trade in Deutschland veröffentlicht wurde. Der Rolling Stone war von der 2015 erschienen Vorgängerplatte „Silver Seasons“ so begeistert, dass er das komplette Album bereits im Vorfeld im Stream veröffentlichte. „Israel Nash bringt uns Woodstock zurück“, schrieb der Stern und feierte das Video zur Single „LA Lately“ ebenfalls in einer exklusiven Premiere. „Silver Seasons“ wurde als Nachfolger zu seinem gefeierten 2013er Album „Rain Plans“ („die gewaltigste Americana Platte des Jahres“ – Rolling Stone) auf Israel Nashs Ranch in Texas im selbstgebauten Studio vom Grammy-prämierten Toningenieur Ted Young (Kurt Vile, Sonic Youth) aufgenommen und produziert. Auch bei der aktuellen Scheibe bleibt sich die Band, was den Aufnahmeort angeht, treu. Beeinflusst von der friedlichen Landschaft in Texas und der idyllischen Umgebung von Nashs Ranch folgen Israel Nash und Band weiter den psychedelischen, aber immer songorientierten Klängen, die man auch schon auf den Vorgängeralben hören konnte. Nash klingt jedoch selbstsicherer als jemals zuvor. Support in Köln und London ist übrigens der frühere Frontmann von You Me & Apollo, Brent Cowles. Seine Musik verwischt die Grenzen zwischen ausgelassenem Indie-Rock, groovigem R & B und kontemplativem Folk. Cowles atemberaubende Vocals schwingen scheinbar mühelos zwischen eindringlicher Intimität und seelenvollem Ausbruch. Einlass 19:00Beginn 20:00Tickets 20€ zzgl. Geb. Israel Nash and Band will finally return to Germany and the UK in November 2018. They will also bring along the songs from their fifth studio album, which was released in the summer of 2018 via Loose Music / Rough Trade in Germany. The Rolling Stone was so enthusiastic about the predecessor record „Silver Seasons“ published in 2015 that he released the entire album in advance in the stream. 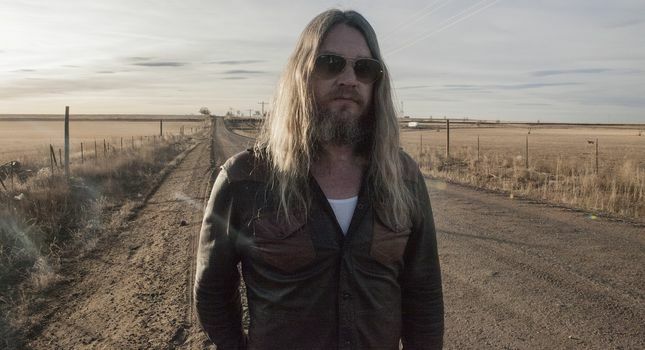 „Israel Nash brings Woodstock back to us“, wrote the german weekly magazine STERN and also celebrated the video for the single „LA Lately“ in an exclusive premiere. The 17-date run across Europe is preceded by two very special UK solo shows in Oxford and Guildford this June. This is the first opportunity for fans to hear tracks from Nash’s upcoming fifth album, due for release on Loose Music this Summer. He has been busy recording at his own ‘Plum Creek Sound’ studio in his home of Dripping Springs, Texas. „Silver Seasons“ was the sequel to his acclaimed 2013 album „Rain Plans“ („The Mightiest Americana Record of the Year“ – Rolling Stone). They were recorded and produced at Israel Nash’s Texas Ranch in the self-built studio of Grammy-winning sound engineer Ted Young (Kurt Vile, Sonic Youth). Even with the current disc, the band remains true to the location, faithful. Influenced by the peaceful Texas landscape and the idyllic setting of Nash’s Ranch, Israel Nash and the band continue to follow the psychedelic but always song-oriented sounds that could be heard on previous albums. Nash sounds more confident than ever. Israel Nash, that’s: Israel Nash, Eric Swanson, Josh Fleischman and the brothers Joey and Aaron McClellan, who take us back in the late autumn of 2018 on a journey back in time to the ideal of an art-loving and peace-loving America. Incidentally, support in Cologne and London is the former frontman of You Me & Apollo, Brent Cowles. His music blurs the line between exuberant indie rock, groovy R & B and contemplative folk. Cowle’s breathtaking vocals effortlessly oscillate between haunting intimacy and soulful outburst. Also playing on the UK-Tour: Treetop Flyers, folk rock band based in London. They won the Glastonbury Festival Emerging Talent Competition 2011. His failed marriage, the death of his father, and friends who died much too early – Treetop Flyers frontman Reid Morrison would have had every reason in recent years to sink into self-pity. Ultimately, however, the blows of fate welded his band even closer together. Even though the comforting melancholy has not completely disappeared – on its characteristically self-titled third album, the London quintet, now supplemented by a new rhythm section, sounds like a band that has found its way. The radiance of the Californian sun and the harmony-loving sound of Crosby, Stills & Nash and The Byrds still surrounds the music of the British and even the classic US soul bonds have not disappeared, but similar to their Texas soulmate Israel Nash now provides subtly modernized sound garment that this stunning LP is much more than a mere tribute to the old heroes and ideals: impressively effortless transport the Treetop Flyers here the spirit of yesterday in the present.